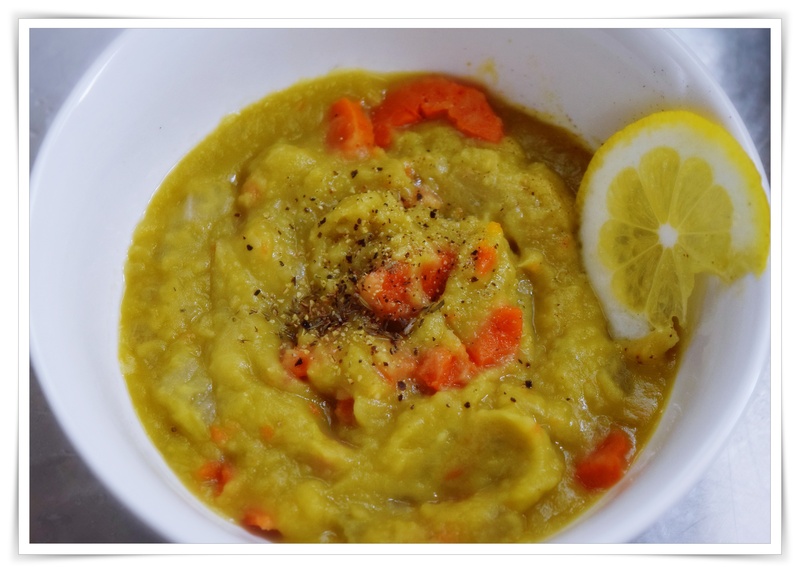 Quite possibly the best pea soup that I’ve made is an adaptation of Hugh Fearnley Whittingstall’s adapted version and once again a fabulous Instant Pot version. Twenty minutes and soup’s on the table…having done a little googling as to where “thick as pea soup” came from and sure enough it is what I learned moons ago, and how appropriate for our current foggy days. I did a few things differently, like all of a sudden the store doesn’t carry smoked ham hock or someone can’t find them, ham steak was my choice for the ham addition, but guess what? Ahead of time I took the smoked country ham slices (3) and made an instant Pot version of ham broth, tossing in a leek, two cloves of garlic, 2 bay leaves, 1 rib of celery, 1 broken carrot, a pinch of red pepper flakes, freshly cracked pepper and water to fill to the max line in the pot. Seal the lid and valve according to instructions and set the pressure cooker to 1 hour, and allow the pressure to come down naturally, strain the broth and pack in containers for the freezer and use later. Briefly sauté the chopped and diced veggies, deglaze with wine, add the ham stock, chicken stock pod, bay leaf, fresh thyme, and diced ham. Place the lid on the pot and seal the valve according to instructions, set the pressure to high for 14 minutes and allow the pressure to come down naturally after the timer goes off. Notes: Thin with additional broth if necessary, season to taste with salt and pepper.